Halliburton and its former KBR Inc. subsidiary knowingly sent military supply convoys into danger on roads in the Baghdad area. WASHINGTON (AP) — The Supreme Court has ruled out reviving lawsuits against Halliburton Corp. over insurgent ambushes that killed civilian truck drivers in Iraq. In its order Tuesday, the court said it will not review a federal appeals court ruling that threw out suits filed by truckers and their families claiming that Halliburton and its former KBR Inc. subsidiary knowingly sent military supply convoys into danger on roads in the Baghdad area. The attacks killed seven KBR drivers and injured at least 10 others in April 2004. The appeals court said a federal law prohibits the lawsuits because it provides workers’ compensation to civilian employees injured while under contract with defense agencies. WASHINGTON (CN) – Kellogg Brown & Root can force Uncle Sam to produce records on the Army’s alleged failure to provide force protection for KBR logistical services workers in Iraq, a federal judge ruled. KBR could face civil penalties of more than $300 million, on the United States’ claims that it billed the federal government more than $100 million for private security contractors it hired. The government says its LOGCAP III contracts with KBR prohibited the use of such contractors. U.S. Chief Judge Royce Lamberth ruled on Aug. 31 that he would allow discovery, after dismissing, in April, the contractor’s argument that the federal government failed to provide adequate security. KBR also asked the government to identify which KBR claims it believes are false, by releasing the invoices, and it sought documents relating to government contracts with other contractors in Iraq, and their relations with private security firms. Lamberth ruled that the government already has released information relating to the specific claims in question, and that the government’s relationship with other contractors is not KBR’s business. 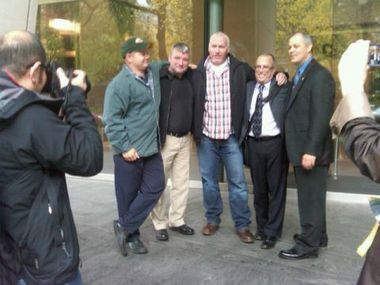 Magistrate Judge Paul Papak this week denied KBR’s request to throw out the lawsuit by 12 Oregon soldiers. The 12 in the lawsuit are part of a group who accuse the company of knowingly exposing them to a carcinogen, hexavalent chromium, that was present at a water treatment plant in southern Iraq where the soldiers were assigned to provide security for KBR engineers. The company denies the charge. Papak also denied requests by both sides to exclude the others’ expert witnesses, except to limit the extent of the medical opinions offered by Dr. Arch Carson, who said the soldiers’ suffered “genetic transformation injury” as a result of their exposure to the carcinogen. Carson’s testimony will be allowed, but he will not be allowed to argue that the injury persists to the present day. Papak noted that Carson conceded “that he lacks a good scientific basis” for that portion of his opinion. It’s not clear who’s going to pay legal costs for defense contractor KBR Inc., which is being sued by National Guard soldiers who accuse the company of knowingly exposing them to a carcinogen. While the company persuaded the Army Corps of Engineers to write an indemnification clause into its 2003 contract to restore the flow of Iraq’s oil, the Corps has twice refused KBR’s request to cover its costs in the two lawsuits proceeding against it in Oregon and Texas. Lawyers for KBR say they believe the company is entitled to have its expenses covered by taxpayers but is proceeding through the litigation in the meantime at its own risk and expense, said Geoffrey Harrison of the Houston firm of Susman, Godfrey. 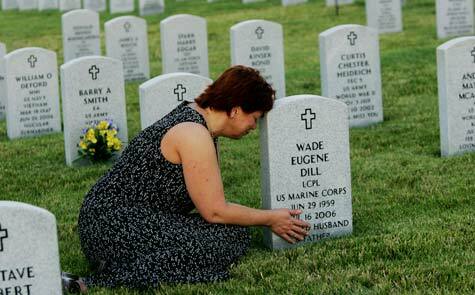 The company expects to challenge the Corps’ denial “maybe at the end of the case,” he said. WHY HAVE I NOT RECEIVED THE DEFENSE OF FREEDOM MEDAL? The Defense of Freedom Medal is an award held to be the equivalent of the Purple Heart and is awarded to Civilian Contractors injured in the war zones. 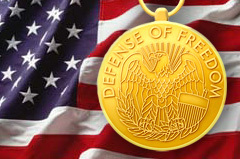 One question we get here repeatedly is why have I not received the Defense of Freedom Medal? The question comes from severely disabled Civilian Contractors wounded in horrific explosions and insurgent attacks. WHO IS HOLDING YOUR MEDAL HOSTAGE? The company you work for is responsible for requesting that you receive the medal and providing the documentation that you have indeed suffered a qualifying injury. As all Injured War Zone Contractors know the minute you must file a Defense Base Act Claim you are automatically placed in an adversarial relationship with your employer. Your Employer and the Defense Base Act Insurance Company are considered equal entities in the battle you have entered for your medical care and indemnity. Your Employer is required to assist the insurance company in denying your claim. Under the War Hazards Act the Employer/Carrier must prove to the WHA Tribunal that they have diligently tried to deny your claim. It appears that your Defense of Freedom Medals could be held hostage by your Employers due to the adversarial relationship the Defense Base Act has created. When KBR, DynCorp, Blackwater, Xe, et al, provide documentation of your injuries to the DoD they have just admitted that you are indeed injured and to what extent. Specific information regarding injury/death: Description of the situation causing the injury/death in detail to include the date, time, place, and scene of the incident, and official medical documentation of the employee’s injuries and treatment. The description must be well documented, including the names of witnesses and point of contact (POC) for additional medical information, if needed. These admissions sure would make it hard for Administrative Law Judges like Paul C Johnson to name them as alleged. ALJ Paul C Johnson has yet to award benefits to a DBA Claimant in a decision based on a hearing. KBR who can never seem to find their injured employees medical records holds the key to the Defense of Freedom Medal. Certainly there are other lawsuits outside of the DBA that the withholding of this information is vital too. The Defense of Freedom Medal may find you many years down the road once an Administrative Law Judge says you were injured. We recommend that you contact your Congressional Representative or Senator and have them request this Medal if you qualify for it and would like to have it. If you are still litigating your claim it SHOULD serve to legitimize your alleged injuries. U.S. Sen. Ron Wyden is calling for the Department of Defense to investigate “excessive” expenses of the legal team of defense contractor Kellogg, Brown and Root, granted special indemnity for its contract in Iraq. Wyden’s sharply worded letter sent Wednesday to Defense Secretary Leon Panetta comes after recent investigations into KBR’s legal team uncovered costs that included attorneys bills of $750 per hour, numerous first-class flights and paying one expert more than $500,000 for testimony and consultation who admitted billing for time spent sleeping. A lawsuit against KBR was brought by a group of Oregon Army National Guard assigned to provide security in 2003 for KBR personnel claims KBR management knew that the soldiers were being exposed to carcinogenic chemicals while working at a water treatment plant in Qarmat Ali. The Pentagon legally covers dozens of military contractors doing dangerous jobs at home, such as making anthrax vaccine or disposing of mustard gas. The details of the immunity emerged in 2010 in a court case in Portland. It releases KBR from all financial liability for misconduct and allows KBR to pass all legal costs to the U.S. government. “Essentially, KBR was handed a blank check with the Pentagon’s signature, and it seems clear to me that they intend to run up the bill as much as possible before cashing that check,” Wyden wrote in the letter. For Vinnie Tuivaga, the offer was the answer to a prayer: A job in a luxury hotel in Dubai–the so-called Las Vegas of the Persian Gulf–making five times what she was earning as a hair stylist in her native Fiji. 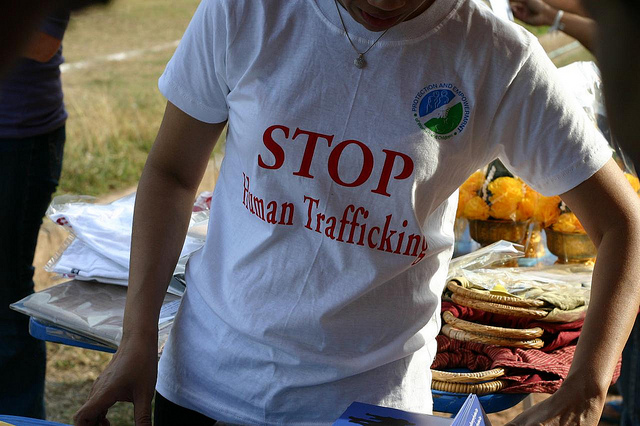 Nick and David uncovered documents that showed how one U.S. contractor—in this case KBR—was well aware that one of its subcontractors, Najlaa International Catering Services, was involved in trafficking abuses.